The plea deal Michael Cohen reached with special counsel Robert Mueller generated intense media excitement last week. However it makes no mention of the original allegation involving him that was at the center of collusion accusations against the Trump campaign, a columnist noticed. Cohen pleaded guilty to lying to Congress about his 2016 meetings concerning the failed Trump Tower Moscow project. “Of course that was news. But it turns out the Cohen plea agreement also made news in what it did not cover,” Byron York wrote for the Washington Examiner. Former British spy Christopher Steele, in the unverified Trump “dossier,” cited a “Kremlin insider” who reported that Cohen traveled to Prague in August 2016 for talks with Russians with close ties to the Kremlin, York noted. Cohen publicly denied the allegation, saying the meeting never happened and he had never been to Prague. “This is what’s wrong with these special prosecutors and independent counsels: They think they’re God,” Giuliani told John Catsimatidis on “The Cats Roundtable” radio program. Giuliani’s comments came days after Cohen, Trump’s former personal lawyer, pleaded guilty to lying to Congress as part of the federal Russia investigation. 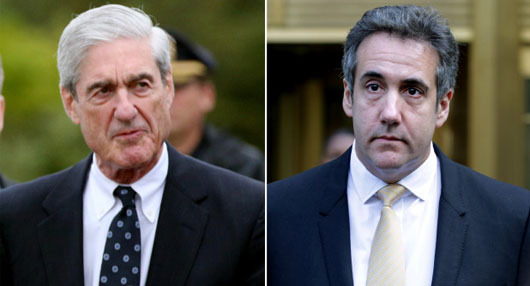 Cohen faces up to six months in prison for the charge. Meanwhile, Comey has dropped his legal challenge to a subpoena from the House Judiciary Committee for him to testify this week behind closed doors. In a filing in federal court on Dec. 2, Comey’s lawyers moved to withdraw his motion to quash the subpoena, writing he “has now reached an acceptable accommodation” with the House Judiciary Committee for voluntary testimony.